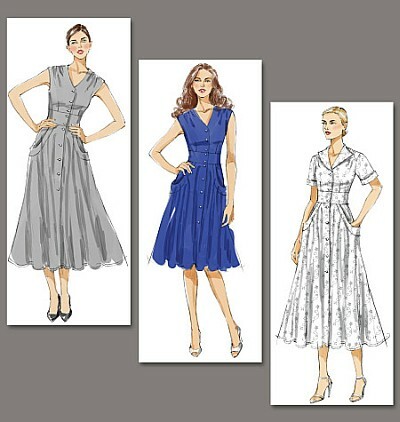 Close-fitting, lined, flared dresses A, B, C have darts, front and back gathers, side front pockets with pocket bands and button front closing. A, B: sleeves. C: sleeves with cuffs. A: mid-knee length. 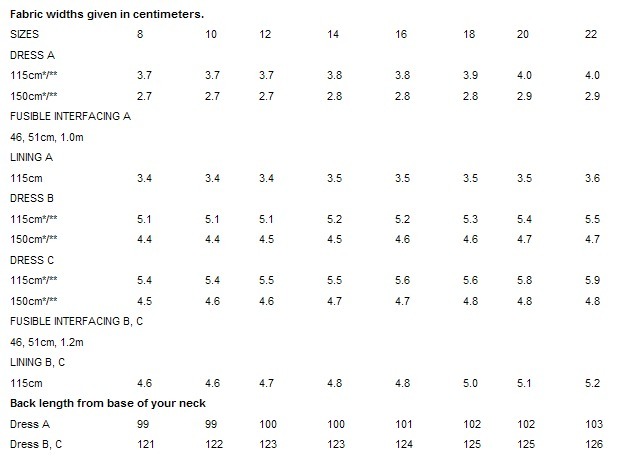 B, C: lower calf length. Notions description...NOTIONS: Dress A, B, C: Ten 1/2" Buttons. Also A, B: 1/2" Single Fold Bias Tape.